On Saturday Bec from Bright Website Design completed the 5K Pretty Muddy challenge set in the beautiful grounds of Tatton Park in Knutsford. The money raised is for Cancer Research UK, the world leaders in finding new ways to prevent, diagnose and treat cancer. 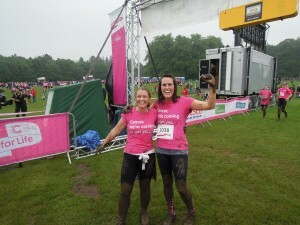 Pretty Muddy isn’t like any other fundraising event. It is a 5k muddy obstacle course where women of any ability can climb, jog and walk all over cancer. Click here to find your nearest event, and if it’s in the North West do let us know, we have willing participants who need no excuse to join in!